Up in the City Hall Dome! 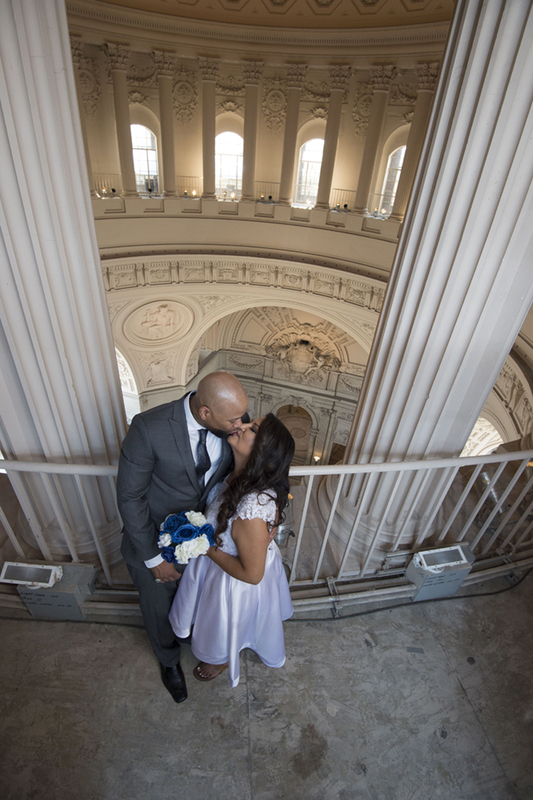 Toni and I were offered the unique opportunity to go up in the dome at San Francisco City Hall. 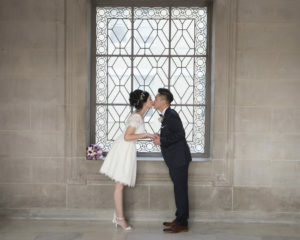 We were photographing a wedding at city hall and we were up on the 4th floor. We were talking to one of the event staff while he was putting away chairs and he asked us if we wanted to go up into the dome area. 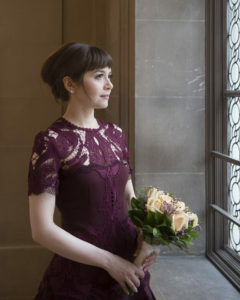 We of course said yes and proceeded to climb the spiral staircase that takes you up near the top of City Hall. It was an amazing experience! The view from up there was incredible, like nothing we have ever seen before. Our couple enjoyed it as well. We took just a few photos since we didn’t have much time. 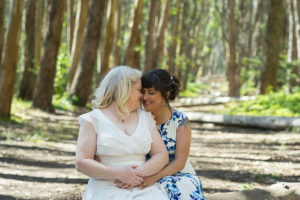 This particular day also happened to be one of the hottest days in the history of San Francisco, so it was pretty hot up there, but totally worth the climb. It just goes to show you how just being friendly to people that you work around can pay dividends. I am sure we will never be able to go up there again, but it was nice to see how it looks. I don’t think there ever any intention of using this upper area for visitors and certainly not weddings! 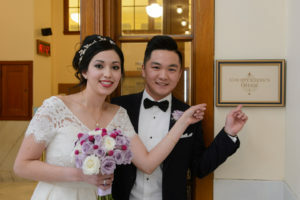 Author mike@cityhallphotos.comPosted on January 23, 2018 January 23, 2019 Categories WeddingsLeave a comment on Up in the City Hall Dome! 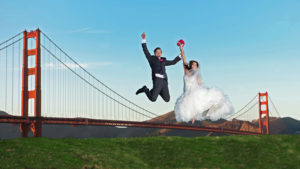 We prefer placing our bride and groom on the edge of the Alamo Square park and shooting from that angle. This is actually a district in San Francisco and not so much a photography location. However, it is a great area to wander around and get some fantastic street photography. 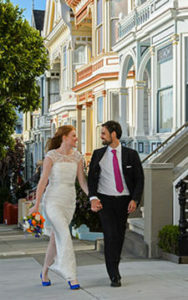 We often take our newly married couples up to the top of Russian Hill to begin with so we can get some great views of San Francisco. Once that is completed, we can wander down to the actual North Beach area and explore the many shops, bars and restaurants and take photos as you do it. We have a few favorite spots we like to stop at including Sotto Mare which has outdoor seating. What better place to get a natural photo of you and your spouse sipping Italian Wine! 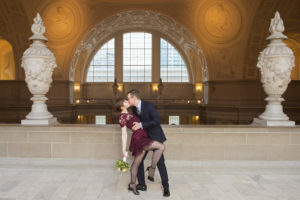 While it may be true that Ghirardelli Square IS a well known San Francisco destination, it’s not quite so famous as a wedding photography spot. We love it! Why? Because it is such a great place to walk around and experience San Francisco! 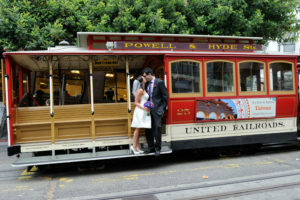 By far one of the best places to get a Cable Car image because the cars sit there on Hyde Street waiting to be boarded. In addition, you have the Famous Buena Vista Cafe which is an iconic pub that serves the best Irish coffees that you can imagine! 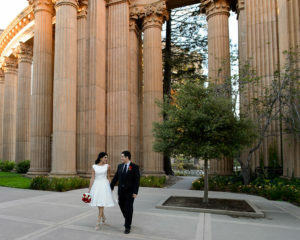 Ghirardelli Square is also just a nice area to have our couple walk around and enjoy while we photograph them! I wanted to update this post from last year because I have some new photos to add to it. I still love this first one (see above) because it is so classic! 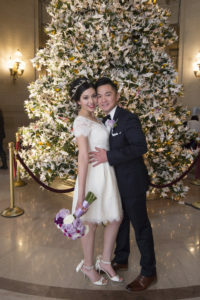 One of our favorite City Hall Weddings from last year! 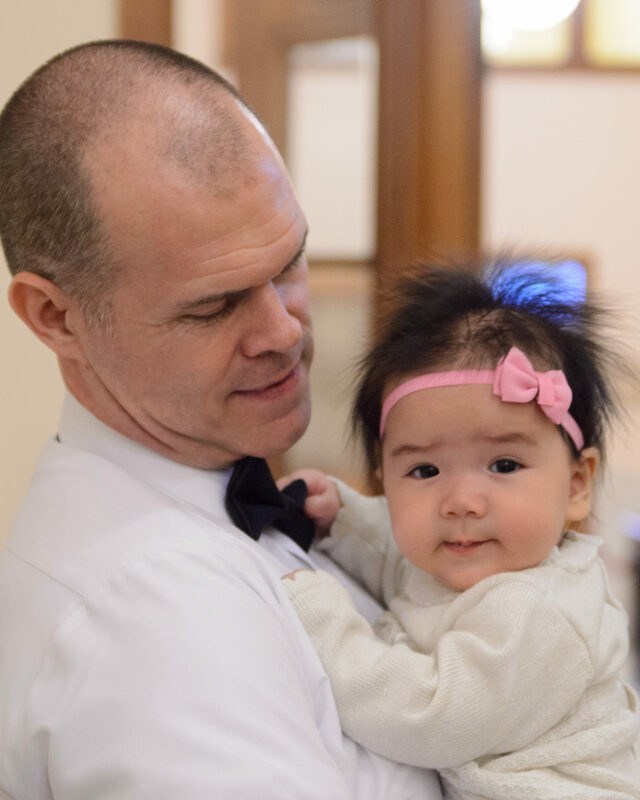 We photographed the wedding of Steve and John with only 1 guest…… Their 5 month old little girl. 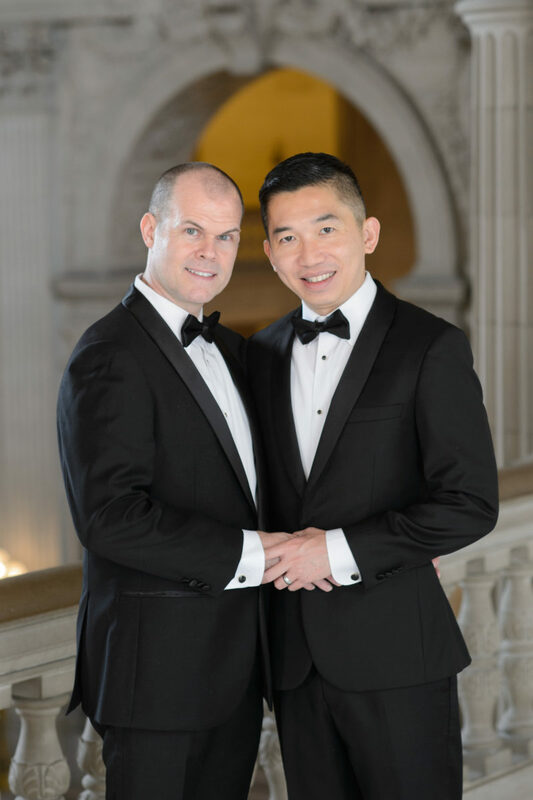 We met the 3 of them in the hallway directly outside of the County Clerk’s office to assist them with their Ceremony check-in. 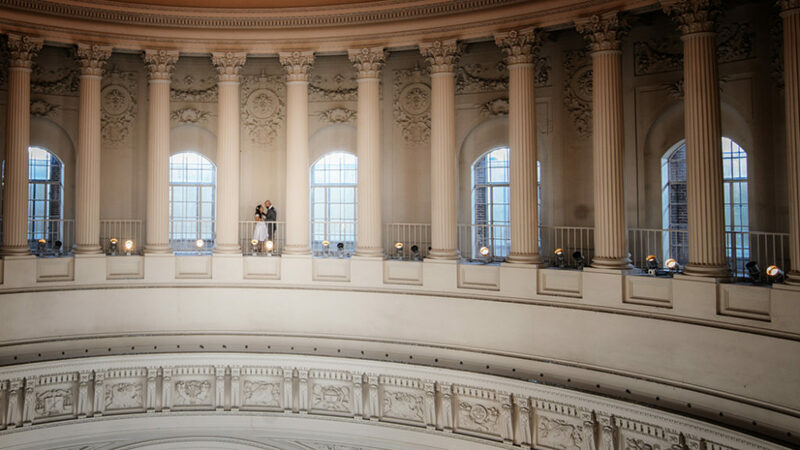 After a brief meeting with their officiant we all headed up to the Rotunda to celebrate their marriage. 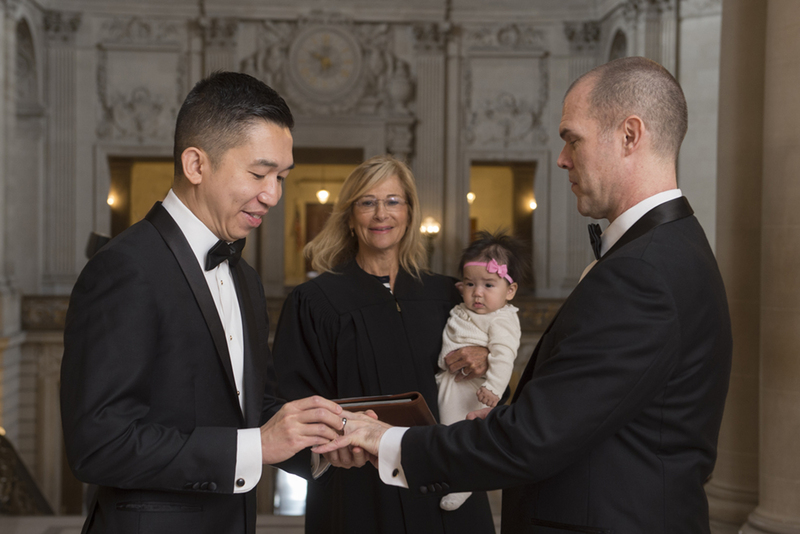 One of the most fun things about the ceremony was that the Deputy Marriage commissioner volunteered to hold the baby while John and Steve exchanged wedding rings! This great idea helped create this classic photo that they will remember for the rest of their lives. I just love how the baby is looking right at the ring exchange of her new dads! 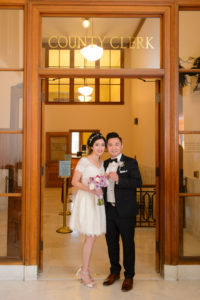 Once the ceremony was completed and the marriage sealed with a kiss, we took the happy couple around the building to take some photos. We incorporated their daughter into some of the early photos, but it wasn’t long until she had fallen asleep in her baby stroller. 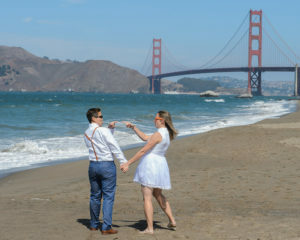 We took advantage of this lucky break to get some really nice poses of the couple, taking them on a tour to many of our favorite picture spots. We ended our shoot at the city hall sign out in front of the building. 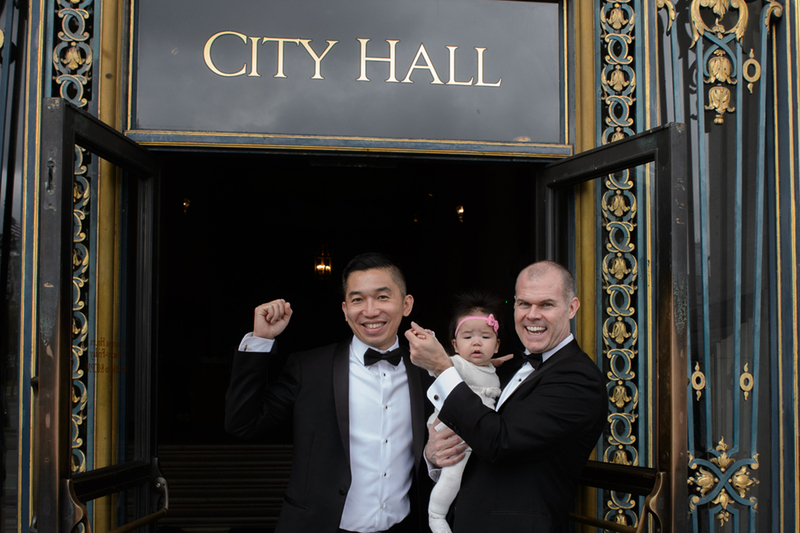 Perfect timing as the baby woke up and joined the couple for a posed shot in front of San Francisco City Hall.